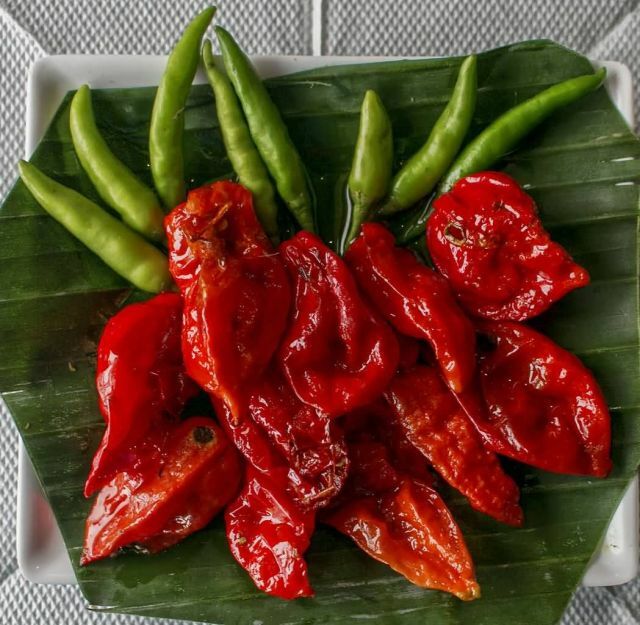 The bhut jolokia also known as bih jolokia, u-morok, ghost pepper, ghost chili pepper, red naga chili, Naga Jolokia and ghost chili. It is an interspecific hybrid chili pepper cultivated in Bangladesh and Indian states of Arunachal Pradesh, Assam, Nagaland and Manipur. In 2007, Guinness World Records certified that the ghost pepper was the world’s hottest chili pepper, 401.5 times hotter than Tabasco sauce. The ghost chili is rated at more than 1 million Scoville heat units (SHUs).